New Mexico Attorney General Hector Balderas on Monday brought felony charges against a former Democratic state senator accused of using his office to make money on the sale of a state building. 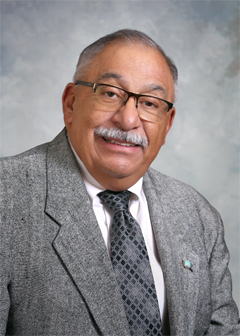 Like many of his colleagues, Phil Griego of San Jose kept his day job while serving as a part-time state senator. But his work as a real estate agent became a problem, authorities say, after he took a $50,000 commission on a deal he had ushered through the legislature. He’s also charged with defrauding other brokers out of what should have been their share of the commission. He has maintained he did nothing wrong. Griego resigned last year after details of the deal came to light. Senate leaders have since said that was evidence the state doesn’t need an independent ethics commission. A judge will decide if there is enough evidence to bring the case to trial. and/or (C) (2011) and 10-16-17 (1993). Fraud NMSA 1978, Section 30-16-6 (2006). Perjury NMSA 1978, Section 30-25?1 (2009). Tampering with public records NMSA 1978, Section 30-26-1 (1963). Gov. Susana Martinez signed a bill (HB 105) she said will make the campaign finance system more accurate and transparent, and make it easier for the public to access the information.